Beacon Aged Care and Retirement Advisers was founded at the beginning of 2016 by Natalie Gordon and Jason Gordon. Natalie and Jason were inspired to open Beacon after experiencing the complexities of the aged care sector firsthand, looking for the best possible care for a loved one. Coming from successful careers in financial advice and accounting, Natalie and Jason were determined to build a business that offered genuine support to families making challenging decisions. From the beginning, Beacon has done things a little differently. Unlike many financial advisers, Beacon Aged Care and Financial Advisers don’t upsell or earn commissions. Instead, Beacon provides real advice when it’s most needed, for a fixed upfront fee. Our advisers travel to meet you where it’s most convenient, whether that’s your home, hospital or interim care facility. Our mobile service helps families stay close and meet the demands of their day. On the day of your appointment, you’ll get verbal advice to help guide your decisions. Within 72 hours, you’ll receive a fully scoped report from your adviser. Our timely advice can create significant long-term cost savings and real security for our clients. While Beacon is based in Brisbane, our team of expert advisers travels throughout South East Queensland to meet with clients. 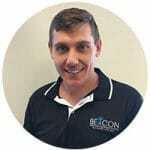 As our reputation for providing caring and professional service has grown, Beacon has increasingly helped people throughout Australia by phone or video conference. 1800 232 000 or via our online form. Over the past 20 years, Natalie has gained extensive experience in all areas of financial planning, with a strong focus on aged care, retirement living and estate planning advice. As Principal Adviser, Natalie makes a meaningful difference every day to families with loved ones moving into the later stages of life. Natalie firmly believes that an important sense of security comes with knowing you’re on the right financial path and is driven to impact her clients’ lives in a positive way. Jason is the Director of Beacon Financial Planning Pty Ltd and has specialised in aged care and retirement living advice since 2013. Following several years in senior management and financial roles, Jason co-founded Beacon in 2015, pursuing his passion for helping people in the complex environment of aged care and retirement living. Jason has an unwavering commitment to his clients and is focused on helping families with real advice that removes financial stress. Renee has worked in the financial services sector for 6 years and joined the Beacon team as a Para-planner. 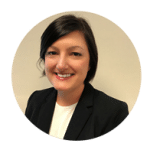 She works closely with our team of advisers in the development and implementation of appropriate strategies to help clients navigate the complexities of the aged care system and provide clarity through what can be an emotional process. To make an appointment with one of our specialist Aged Care Financial Advisers, please call 1800 232 000 or fill out our contact form.